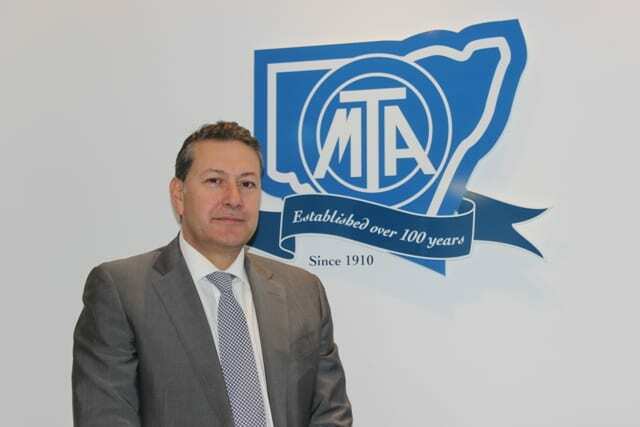 The MTA NSW Executive Board has announced the appointment of a new Chief Executive Officer (CEO), Mr Stavros Yallouridis, who took up the position on 19th September. Stavros grew up in Melbourne where his father owned mechanical workshops and service station outlets and this is where he learnt his trade as a motor mechanic. In later years Stavros moved to Greece where he held various positions working for the Fiat Group and the Alfa Romeo Group from 1992 till 2003. In 2003 Stavros took up the position of Managing Director of BMW in Greece. He returned to Australia in 2009 to become the Managing Director of BMW Australia. He served in this position until 2010. From July buy quetiapine uk 2012 until September 2013 he was the Director of Sales and Marketing, Australia and New Zealand for the Iveco Fiat Group. Stavros headed up the Iveco Trucks Division until December 2014, when this was eventually taken over and is now known as CNH Industrial. “As you can see, Stavros has had extensive experience in the automotive industry in both Greece and Australia. I am sure now that Stavros has taken up his new position he will be eager to meet with our entire member and customer base,” said Vice President, David Keats. Editor: We wish Stavros every success with MTA NSW.